As hard as it is to admit, you know that your marriage is heading toward divorce. As the realization sets in, it’s time to start planning how to get through this thing and on to the next chapter of your life. You probably have tons of questions, such as how much is it going to cost? How long will it take? You don’t have to look far to find a nightmare divorce story among your friends. We all have that friend who seemed to be going through a divorce FOR-EV-ER. Seriously, it took her TWO YEARS and $100,000 in attorney’s fees to finally put her marriage to rest. Is that your fate? Should you just buckle up for a two-year stint in divorce purgatory? In one word: No! Many divorces can be wrapped up in a matter of months, and the majority of them take less than a year. It’s likely that your friend went to court rather than trying to settle the divorce peacefully first. Going to court takes lots of time and money. Let’s look at how you can avoid her mistakes. 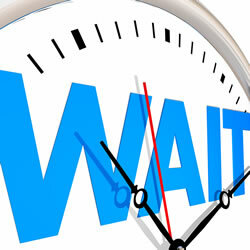 Going to court will stretch out the length of your divorce and will add significant costs. You’ll need to file your complaint, be assigned a judge, and placed on their docket. Depending on how busy the judge is, it could take months for you even to step into a courtroom. You’ll likely want your divorce attorney present to represent you, which means you’ll be paying for every moment they are with you, including while you wait for the judge to call your case and even the time it took them to drive to the courthouse and park. This will happen for every new motion you file! Keep in mind that dragging your spouse to court will increase the chance that he retaliates and drags you to court too. It’s a dangerous and expensive self-repeating cycle. Rather than going to court right away to fight your divorce battle, put your feelings aside as much as possible and seek divorce mediation with your spouse. In mediation, you and your spouse work together to divide your estate in a fair and equitable manner with the help of a third-party mediator who guides you through the process. Mediation can be difficult, and emotions can run high, but most spouses are able to work out the majority of their differences with this process. Mediation will save you from going to court for all but the most difficult questions that you can’t agree on together. If you and your spouse want to work together to achieve the best divorce solution possible, but you want attorneys at your side, a collaborative divorce may be an option. In collaborative divorce, you and your attorneys meet with a financial professional and divorce coaches to settle your matter respectfully. This can be an empowering choice that saves time and money and promotes emotional healing. Both these options will dramatically speed up your divorce process. If you can work out everything through mediation or collaboration, you likely can wrap up your divorce in months, not years. Unfortunately, court cannot always be avoided. If your spouse is combative, if you two cannot come to an agreement on child custody or how to divide your estate, or if your spouse is breaking the law by hiding assets, you may need to go to court to fight for your rights. But court should be your last resort and not your first option. 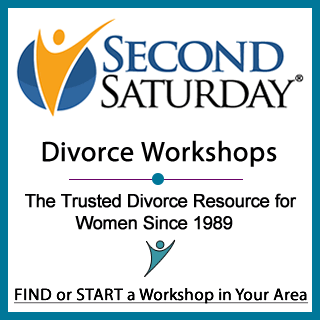 If you to explore your options, attend the next Second Saturday Divorce Workshop in your area. Here you’ll meet attorneys, financial consultants, therapists and others who can help you decide the best way to proceed. I was married, just under 10 years. I had a hand written, pre nuptial from wife. She agreed never. to sue me, that we would come to terms of pre nuptial. After about 5 years of marriage, she became irrational, angry, and couldn’t reason or communicate. She started bvreaking her promises and agreements with me. She would enter illegal businessm aND AGAINST MY WISHES. sHE SAID IT WASNT ANY OF MY BUSINESS. Counciling just made her more mad. When her best girl friend told her to relax, stop hurting me, she just got mad, and stopped talking to her ever. Her 3 kids took my side, and told their mom they were neutral if a divorce occurred, that made her even more angry. I found out thart my ex had a long history of irrational choices. I decided to tell her that I couldn’t go on with a person that became irrational and dangerous. Then she really went crazy. She called my teamster retirement office, and had my pension frozen for 6 months, which put me into bankruptsy. She then robbed the bank electronically, removing 32,000 dol our of my account. She refused to honor the prenuptial, lied about anything that embarrassed her. I never cheated on her, and always paid the bills, and raised her kids, that’s why kids stayed neutral, they knew their mom was capable of violence and illegal crime. I ended up losing everything, plus she got over 400 a month of my pension, then got re married, and kept working. I had to start over at 60 years old. How could teamsters freeze my pension during a divorce? How could a notorized pre nuptial, not be followed. I call teamsters even today, but they don’t retirn my call.Everyone in family stayed out pf divorce, because nobody wanted heer to do anything violent, like in her past. The court just allowed her to take everything. She would make up stories, make up excuses to try to act like the poor wife, when in fact, I was the person being hurt. Where was the protection for my pension, and how coulde she get away with crime, violwence, and get away with all this.? If a man tries to trust, believe, and to communicate, then he gets destroyed. I don’t have any answers for you. I don’t know how all those things could happen.